Privacy Statement - Muneris, Inc.
We collect information from you when you subscribe to our newsletter, fill out a form or request a quote. When ordering or registering on our site, as appropriate, you may be asked to enter your: name, e-mail address, mailing address or phone number. You may, however, visit our site anonymously. By completing the quote forms, you are giving Muneris, Inc. permission to offer our assistance. If you are inquiring about a Medicare Advantage Plan or Part D coverage, you must contact Muneris, Inc. personally. Agents and Brokers are prohibited from contacting you directly for information regarding Medicare Advantage Plans and/or Part D coverage. Thanks for your understanding regarding CMS rules. 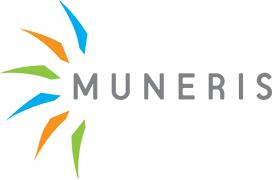 Please also visit our Terms and Conditions section establishing the use, disclaimers, and limitations of liability governing the use of our website at https://munerisbenefits.com/terms .